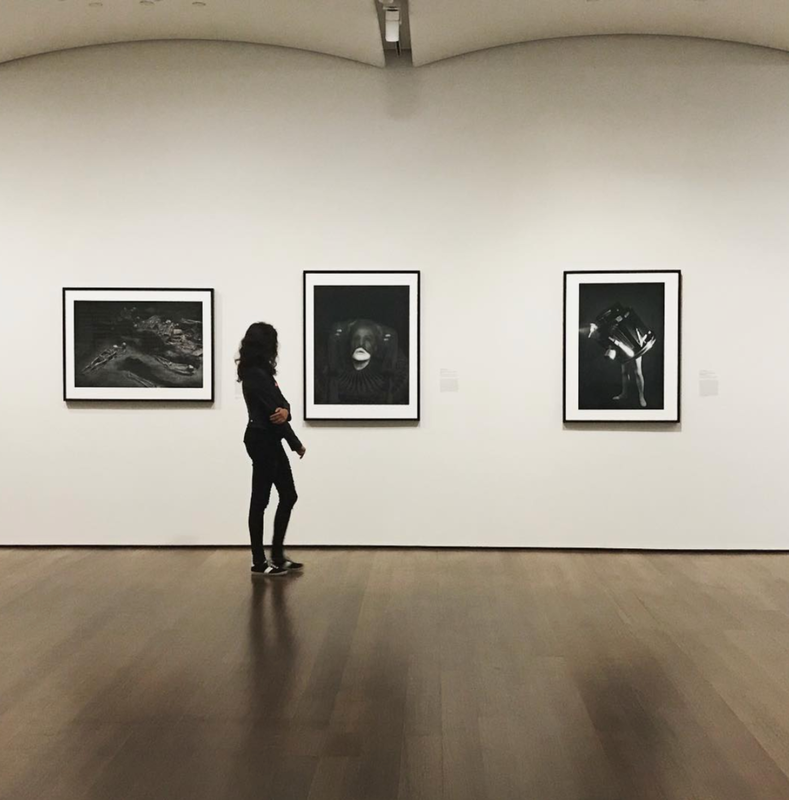 Boston is a college town, so it's no surprise we have incredible university art galleries in the area. Last week we visited three exhibitions that we highly recommend adding to your summer bucket list! The exhibition Analog Culture: Printer’s Proofs from the Schneider/Erdman Photography Lab, 1981–2001 at Harvard Art Museums presents nearly 450 photographs printed over three decades by Gary Schneider of the Manhattan-based studio Schneider/Erdman, Inc. as well as an informative look at darkroom photography and printing techniques. This exhibit provides the viewer with a window into New York City art communities during the 1980’s through to the early 2000’s and their responses to issues of the time, notably the AIDS crisis. On display one can view images of “The Beatles, London, August 11, 1967” by Richard Avedon and “Twins at the Beach” by Louise Dahl-Wolfe as well as three-color photographs by Paul Thek and his studio by Peter Hujar. The exhibition also includes photographs by Robert Gober, who is most well-known for his sculptures and installations. Visitors can interact with large monitors that display various videos about the printer’s practice. The exhibit is exciting to visit for someone who knows little about photography or for someone who is well versed in the matter. Overall, the show is a fantastic presentation of the work of numerous photographers in collaboration with the printer Gary Schneider. This summer the MIT List Visual Arts Center presents Allison Katz: Diary w/o Dates–her first solo exhibition in the United States. Allison Katz is a Canadian born painter currently living and working in London. This suite of 12 paintings is an exploration of the concept of the calendar and it’s regularly spaced demarcating of time. The paintings, which are all the same size, hang along the longest wall of the gallery with one painting on either end of the line spilling onto the short end walls. One painting for each calendar month hangs so that as the viewer enters the space they are met with their expanse. The opposite wall remains blank except for the titles which are along the floor molding directly across from their corresponding paintings. According to the exhibition video Katz says that the exhibition title Diary w/o Dates refers to “a sort of contradiction that I wanted to get across which is that a diary is something structured by time, but if you remove the time component, it seems to be a sort of collection of experience connected to one person, but not necessarily personal.” Katz’s goal in these paintings was also to explore the presentation of women in calendars and push against the exploitation of their images. Though they explore questions of women’s representation and historical exploitation in their images through the paintings’ relationship to calendar’s such as the French Republican calendar, showing each month as an allegorical woman, and the contemporary examples of Sports Illustrated calendars, the paintings do not take an explicitly feminist stance against exploitative modes of representation but rather simply offer a more subdued and more self expressive example of representation. The Boston Young Contemporaries exhibition at Boston University displays works by nineteen graduate student artists from New England, providing viewers an introduction to up-and-coming artists in the Northeast. This eclectic curation of artworks was selected by this years BYC juror, Sean Downey, who received his MFA from Boston University. The exhibition includes paintings, photography, sculptures, and videos that span a variety of subjects. In her work Just an Everyday Conversation, Nicole Winning lines a metal shelf with glass bottles containing porcelain clay and water. The variation in clay used makes every bottle a unique shade of brownish-grey, and each bottle is labeled with a QR sticker that if scanned, takes the viewer to a video. William Karlen’s painting The Strangeness of Sleep (oil on canvas) depicts a blue sleeping bag, propped upright against a dark window. The sleeping bag appears to be empty and it is unclear how the limp fabric is able to maintain its gravity-defying position. Marisa Adesman’s Vertumnus’ Bride depicts a female figure whose skin resembles melting wax. The title of this painting refers to Italian painter Guiseppe Arcimboldo’s portrait of Holy Roman Emperor Rudolf II as Vertumnus. Although instead of constructing her figure from vegetables, Adesman paints her subject in what resembles thick globs of paint that appear to have not yet dried, but is actually perfectly rendered frosting covering the figure's body. As a whole, the exhibition is an impressive presentation of works by emerging artists. Each piece in the exhibition is excellent on its own, yet together the collection reveals the multitudes of talent in New England and celebrates the early careers of these artists. Abigail Ogilvy Gallery is open! Keenan Derby photographed with his work. Keenan creates highly textured pieces that invite contemplation and thought. His larger works take up to four months to complete, he uses a variety of techniques to apply the mixed-media to the surface. The under layers are often bright and vibrant, but are masked by later layers that only allow small amounts of the original color to show through. Each viewer interprets Keenan's work differently, inviting a broad audience to decipher and translate the paintings from their own point of view. Derby currently resides in Los Angeles, CA where he continues to paint.